Elected to the Republican National Committee (RNC) as the national committeewoman for Nevada in 2012, Diana Orrock has thrown her hat into the ring to run for Assembly District 9 in Las Vegas, Nevada. She has been an active member of politics for nearly 20 years. Orrock has lived in Las Vegas for 50 years. It was there that she and her husband raised their three children. 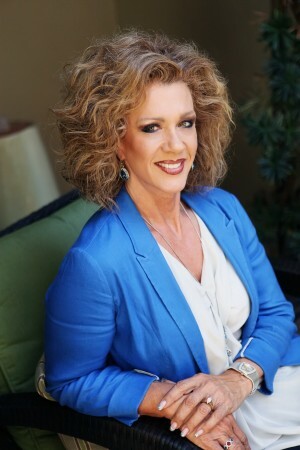 Not only has Orrock served as Nevada’s Republican National Committeewoman, she has also served as an executive board member of the Clark County Republican Party. Moreover, she has been a member of the central committee for the Nevada Republican Party and has also been a volunteer for several political campaigns on local, state, and federal levels. Orrock was the first woman criminalist to be hired by the Las Vegas Metropolitan Police Department. She has also been a toxicologist, as well as a pediatric nurse. The political hopeful earned both of her Bachelor of Science degrees from the University of Nevada in Las Vegas. The Assembly District 9 candidate states that she is a strong supporter of Second Amendment rights and a firm believer of the statement, “Shall not be infringed.” She is adamantly opposed to Obama’s executive order for a federal registry of all firearms. Orrock believes it is unnecessary to register firearms twice, as all responsible gun owners have already registered their weapons. The future assemblywoman is against “Gun Free Zones,” believing this makes people in these areas targets. She also takes the stance that when guns become outlawed, then only outlaws will have them. She believes any person who has the courage to open-carry has been trained and is competent in their ability to handle firearms. When it comes to education, Orrock’s stance on Common Core is it should not be allowed in any school system. Ideally, any authority in the school systems should be local. She believes the federal mandates of Common Core are going far beyond necessary guidelines and in the wrong direction, as the federal government has no business in the education system. Moreover, the testing standards and teaching forms are failing students across the nation. In an article written by Orrock for the Las Vegas Review-Journal, she stated that the Education Savings Accounts (ESA) program needs to be strengthened. The biggest problem is it refuses to allow parents with children registered in private schools to open an ESA. They must first enroll their children in the public school system for 100 days before they are able to participate in the savings account. This same rule applies to parents who home-school their children. Diana Orrock, who currently serves Nevada as the state’s Republican national committeewoman, is running for District 9 assemblywoman in 2016. She says she is focused on being a principled and trusted member of her state house. Orrock also believes “there’s nothing wrong with telling the truth.” These are the values she will use to serve the needs of the constituents in the district. Furthermore, the candidate believes that as a long-time resident of Las Vegas, she understands the issues close to Nevadan’s hearts. The issues Orrock will address as an assemblywoman are taxes, education, health care, and defending the Second Amendment to the United States Constitution. The candidate explained that her opponent claims to be a conservative, but against the wishes of 77 percent of the voters in District 9, he voted for the largest tax increase in the state’s history. “I can assure you that had my opponent campaigned on wanting to raise taxes, he never would have been elected. The voters and small business owners in Nevada are very upset and feel betrayed by the Republicans who voted for the $1.5 billion Commerce Tax.” This tax became effective on July 1, 2015. According to the Small Business Administration, Nevada’s small businesses created over 15,000 jobs in 2012. There are no statistics for subsequent years, however with the new taxes and increased business license fees, there is speculation this number will not increase. In 2015, the licensing fee for corporations was $200; The new cost in 2016 is $500. According to Orrock, she will stand by her word as a principled Republican who can be trusted. She seeks to serve the constituents as the assemblywoman for District 9 with integrity and to do so as a true fiscal conservative. This website is paid for and authorized by Diana Orrock. Sign up now to keep updated! Don’t worry, we don’t like spam any more than you do.